You can also contact Bally Client Services via Live Chat where our agents will assist you with your query. You can initiate a live chat by clicking on the prompt when browsing Bally.co.uk. Please include your country code with a '+' sign. Eg: +44..
To order corporate gifts please contact our Client Services team who will be happy to assist you. Contact details; By email: clientservicesUK@bally.ch By phone: 00800 1851 1851. Please be sure that the address entered in the "Billing" field is the address that is registered with your bank. If the order is still not being accepted please contact your bank, followed by our Client Services team who will be happy to assist you. Contact details; By email: clientservicesUK@bally.ch By phone: 00800 1851 1851. Shipping costs £20 for orders below £60. Bally offers free Standard Delivery on all orders above £60. If you order shoe care products only the standard shipping is 20£ for orders below 60£. 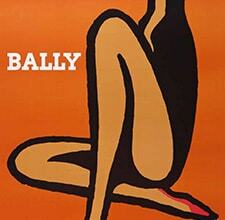 You can now shop online at Bally.co.uk and collect your order in selected stores. You will be notified via email as soon as your order is available for in store collection. Should you find that your items have any manufacturing defects or quality problems, you should immediately Email Bally Client Services at clientservicesUK@bally.ch or call us on 00800 1851 1851, Monday to Friday between 8am and 5pm. Our aim is to give as much information as possible on the product pages of our items. Should you require any further information, please contact clientservicesUK@bally.ch or call us on 00800 1851 181, Monday to Friday between 8am and 5pm. Should you wish to discuss a repair for your Bally product, please contact clientservicesUK@bally.ch or call us on 00800 1851 1851, Monday to Friday between 8am and 5pm. 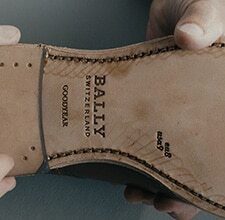 Bally offers a resoling service for men’s Scribe shoes. Please contact Client Services in order to evaluate condition, assess service feasibility and obtain further information, including a quote for this service. To contact Client Services, please email clientservicesUK@bally.ch. Alternatively, please call 00800 1851 1851, where our advisors are available Monday through Friday, 8am – 5pm. 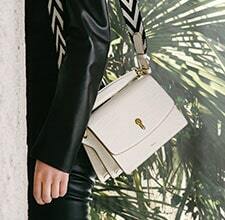 Bally does not offer refreshing services for handbags or small leather goods. For additional assistance, please contact Client Services via email clientservicesUK@bally.ch or call us at 00800 1851 1851. 1.1 As a consumer, you may cancel your contract in relation to Products purchased on the Website, without any penalty, by either contacting Client Services on 00800 1851 1851 or by email: clientservicesUK@bally.ch You can submit your return request via email by using this Model withdrawal form. If you use the Model withdrawal form we will e-mail you to confirm we have received your cancellation. You have fourteen (14) days from delivery of the Products to submit your returns request. 1.5 You shall return the Products by packaging the relevant Product(s) securely. You shall return the Product(s) in the same condition in which you received them and they shall be returned in their original packaging; moreover, the Products shall not have been washed or damaged and the relevant identification tag(s) shall still be attached to the Products with the disposable seal. Please note that Bally will review the returned Product(s) via quality control. 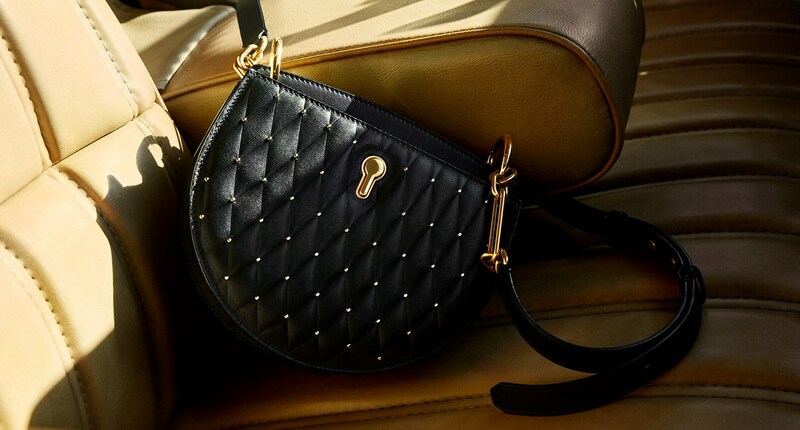 If the Product(s), are received in perfect condition, new and with all tags and labels attached, Bally will approve the return and reimburse the price originally paid. If the recipient of the Product(s) indicated in the order form is different from the individual who made the payment for such Product(s), the amount paid for returned items shall be refunded to the individual who made the payment. 1.6 If any of the labelling or tags are missing, do not comply with these General terms and Conditions of Sale or Bally has any reason to believe that the Products have been altered, used or are imitation of the Products or were not purchased directly through this Website, Bally will not accept the return and will return the Product(s) back to you. 1.8 You may also return the Products to stores owned or directly operated by Bally within the same country of delivery. This returns policy does not apply to purchases bought in franchising shops, outlets, retail stores, department stores, duty free shops or any other website. 1.9 Because you are a consumer, we are under a legal duty to supply Products that are in conformity with our contract with you. As a consumer, you have legal rights in relation to Products that are faulty or not as described. These legal rights are not affected by your right of return and refund in these T&Cs. Advice about your legal rights is available from your local Citizens' Advice Bureau or Trading Standards office. Welcome to our web site (www.bally.co.uk, the "Website"). These General Terms and Conditions of Use (the "Terms") govern the access to and use of the Website. Please read these Terms carefully. By accessing and using the Website as well as by purchasing the products on the Website, you agree to be bound by these Terms. If you do not agree to all or part of these Terms, we invite you not to use our Website. This website is managed and maintained by Bally UK Sales Ltd., with registered office in Salisbury House, London Wall, London, EC2M 5PS - UK, business register number 00310156, tax code and VAT number GB104711513. The access to and use of the Website, including display of web pages, communication with Bally, downloading product information and making purchases on the web site, are carried out by our users exclusively for personal purposes, which should in no way be connected to any trade, business or professional activity. Remember that you will be liable for your use of the Website and its contents. Bally shall not be considered liable for any use of the Website and its contents made by its users that is not compliant with the laws and regulations in force, without prejudice to Bally's liability for intentional torts and gross negligence or any other liability to the extent that it cannot be excluded at law. In particular, you will be liable for communicating information or data which is not correct, is false or concerning third parties (in the event such third parties have not given their consent) as well as for any improper use of such data or information. Bally has adopted measures to ensure that the content of the Website is accurate and does not contain any incorrect or out-of-date information. However, Bally cannot be held liable for the accuracy and completeness of the content, except for its liability for tort, gross negligence, fraud or fraudulent misrepresentation, death or personal injury caused by its negligence and any other liability to the extent that it cannot be excluded at law. These General Terms and Conditions of Use are governed by UK law. The Products purchased on the Website are sold by Bally UK Sales Ltd., with registered office in Salisbury House, London Wall, London, EC2M 5PS - UK, business register number 00310156, tax code and VAT number GB104711513 ("Bally" or "we" or "us"). 1.1 Bally offers the Products for sale on its Website, including its e-commerce business services exclusively to its end users i.e. any natural person who is acting for purposes which are outside his/her trade, business or profession (a "consumer"). If you are not a consumer, please do not buy any Product(s) on the Website. We reserve the right not to process orders received from users who are not consumers and any other order which does not comply with our business policy. 1.4 Products ordered on this Website may only be shipped to the United Kingdom (the "Country"). Please see Section 4 in these T&Cs for more information. 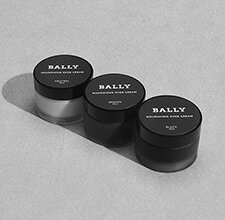 2.3 Your order is an offer to Bally to buy the Product(s) contained within your order and is binding for a period of 15 (fifteen days). An order shall be deemed to have been submitted to Bally when you receive an order receipt email (automatically generated) confirming the content of your order which has been received and is being assessed. 2.7 You may access your order form by clicking on the section called "My Account", in "Check Your Order Status". 2.10 We strongly invite you to print a copy of these T&Cs, the order summary using the print option and save a copy thereof for your own personal use. 3.3 You may pay for your order using the payment methods available on the Website such as payments with credit/debit cards and PayPal. 3.6 Payment will be "reserved" or "frozen" by your card issuer when you attempt to/make a purchase on the Website. The price for the purchase of Products and the corresponding costs for shipping and delivery, as indicated in the order receipt email, will be charged to your chosen payment method only when the purchased Products are actually shipped. 4.2 Delivery from this Website is restricted to the Country only. 4.4 The Order Status will contain information on the carrier and the associated tracking number(s). 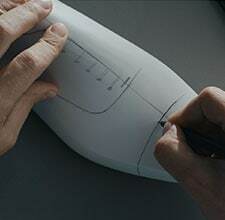 4.8 All shipments will require a legible signature of the customer upon delivery. 4.9 Upon delivery, it is your responsibility to ensure that the parcel being signed for is without damage, visible alteration or wet. Any such defects should be reported on the delivery note (when you sign for the delivery). 4.11 If you order Products from our Website for delivery to one of the international delivery destinations, your order may be subject to import duties and taxes which are applied when the delivery reaches that destination. Please note that we have no control over these charges and we cannot predict their amount. You will be responsible for payment of any such import duties and taxes. Please contact your local customs office for further information before placing your order. 5.1 As a consumer, you may cancel your contract in relation to Products purchased on the Website, without any penalty, by either contacting Client Service on 00800 1851 1851, Email: clientservicesUK@bally.ch or you can submit your return request via email by using the Model withdrawal form. You have fourteen (14) days from delivery of the Products to submit your returns request. 5.2 More details of your right of withdrawal, terms and conditions and explanations of how to exercise it are provided in the Confirmation and in the Returns Policy. 7.1 Client Services will be able to assist customers with requests for information, assistance on orders, shipping, refunds and returning Products purchased on the Website. Client Services can be contacted on 00800 1851 1851 or via email at clientservicesUK@bally.ch. Client Services operating times are: Monday to Friday, 9am to 5pm. 8.3 Except for cases of gross negligence and fraud, in no event will Bally and/or its affiliate be liable to the buyer for lost profit or any damages of any nature arising out or related to these T&CS and/or in connection with third party claims raised against the purchaser of the Product. 8.3 If we fail to comply with these T&Cs, we are responsible for loss or damage you suffer that is a foreseeable result of our breach of these Terms or our negligence, but we are not responsible for any loss or damage that is not foreseeable. Loss or damage is foreseeable if it is an obvious consequence of our breach or if it was contemplated by you and us at the time we entered into this contract. 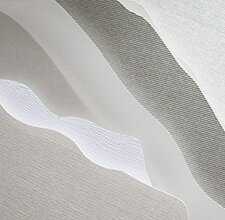 8.4 We only supply the Products for domestic and private use. You agree not to use the product for any commercial, business or resale purposes, and we have no liability to you for any loss of profit, loss of business, business interruption, or loss of business opportunity. 8.5 Although we have taken all reasonable care that the information contained within the Website is accurate at the time of publication, no representation or promise (including liability towards third parties), expressed or implied, is made as to its accuracy or completeness or fitness for any purpose by us or our group companies. 8.5 The total amount of Bally's liability in respect of the purchase of Products under these T&Cs is limited to the amount paid by the buyer for the purchase of the Products. 8.6 Liability based on statutory provisions protecting consumers shall remain unaffected. 10.1 Bally may sub-contract the performance of all or any of its obligations under these T&Cs at any time without the consent and may transfer these T&CS (including a transfer resulting from a merger, demerger, division, transfer of a business unit or part of a business unit or the entire business) and/or the purchase contract entered into by and between Bally and the buyer, completely or partially, to third parties (including affiliates of Bally), without your consent , but this will not affect your rights or our obligations under these T&Cs. 15.1 These T&Cs and the other policies of the Website shall be governed by and interpreted in accordance with the laws of Switzerland. Disputes arising in connection with these terms shall be subject to the non-exclusive jurisdiction of the court of Lugano, without affecting the consumer's right to start a claim before the courts of the place of residence . 2.1 The data controller of the Website is Bally Schuhfabriken AG, with registered office in Via Industria 1, 6987 - Caslano (Switzerland) (" Bally", "we", or "us"). 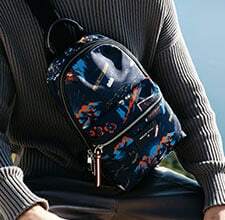 2.2 As indicated in the General Terms and Conditions of Sale, the online store of the Website is managed by the company Bally UK Sales Ltd., with registered office in Salisbury House, London Wall, London, EC2M 5PS, UK. Bally UK Sales Ltd. Bally deals with managing sales and transactions carried out through the Website, such as processing orders, sale and delivery of products, processing returns and warranties and other activities necessary for the sale of products through the Website. For the managing and the implementation of activities required for the sale of products through the Website, Bally UK Sales Ltd. processes users data (including name and surname, address and user credit card details) acting as data processor. 3.1 User can browse our Website without telling us who he/she is or revealing any personal information about himself/herself. If user chooses to provide us with personal information in order to use our services and features offered through the Website, he/she will no longer be anonymous to us. (b) data provided voluntarily by users: personal information provided voluntarily by users via email, user interaction with the Website's features, requests for services offered by the Website, completion of specific forms to access reserved sections of the Website and to be provided with e-commerce service offered through the Website, including name, gender, email address, phone number, physical contact information, (depending on the service used) sometimes financial information, such as credit card and/or or bank account numbers, postage, billing and other information user provides to purchase products through the Website, as well as additional personal information we may ask you for to provide our services. 5.2 The submission of Data for marketing purposes is always voluntary and optional. Any non-submission of Data for such activities will have no consequence on the user's ability to use the services and features offered by the Website. 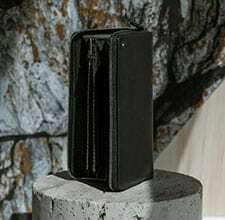 6.2 Furthermore, with the user's consent that is free and optional, Bally may also process Data for purposes of defining individual or group profiles (user profiling) and for marketing purposes, notably to send to user, also through newsletters, emails or text messages, information and updates on Bally products or initiatives, offers, exclusive sales, promotional campaigns and on the events, shows and similar events organized by Bally or in which Bally takes part, including invitations to such events. The user always has the right to object to the processing of his/her Data for marketing purposes and/or the delivery of promotional information through email. 7.2 We protect users' Data using technical and administrative security measures to reduce the risks of loss, misuse, unauthorized access, disclosure and alteration. Some of the safeguards we use are firewalls and data encryption, physical access controls to our data centres, and information access authorization controls. 8.4 If users' Data will be used or disclosed for any purposes not set out in this notice, they shall receive prior notification. Data will be transferred to extra EEA companies of Bally Group with the user's consent which is optional. The website www.bally.co.uk (the "Website") uses automatic systems of data collection such as cookies. A cookie is a small piece of data that is used to store information on your computer's browser or program data subfolders when you visit a website, such the Website. What cookies does www.bally.co.uk use and for what purpose? 1.3 If a Product has manufacturing defects or in any case of alleged lack of conformity of Products, in order to benefit from his/her rights under this warranty policy the customer must notify the Client Services on 00800 1851 1851, Email: clientservicesUK@bally.ch within a period of two months from the date on which he/she detected such lack of conformity. In any case, the proceedings intended to enforce the lack of conformity not fraudulently hidden by Bally shall in any event expiry after twenty-six months from delivery of the Product(s).